Created to instantly brighten the skin’s appearance, this Pro-Radiance Illuminating Flash Balm 50ml from Elemis gives you noticeable results, fast. Formulated to tighten the skin for a smooth, even and dewy luminosity, this innovative balm smooth’s imperfections to give you an even, flawless complexion. Working as a fantastic base for make-up, this Illuminating Flash Balm can be used as an overnight mask to help soften and smooth the skin’s surface. — It won’t ball under your fingertips if you choose to apply foundation, unlike many optically improving products. — It won’t sparkle under the light. 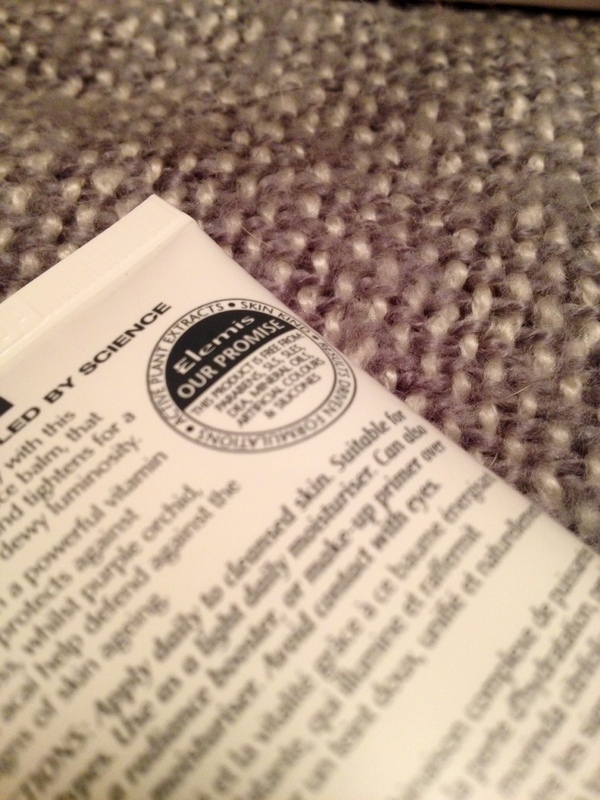 There are no conspicuous luminising particles in this balm. — It won’t leave the skin tacky, or overly dewy, which can be the tendency with products that deliver this kind of fresh, super-hydrated finish. 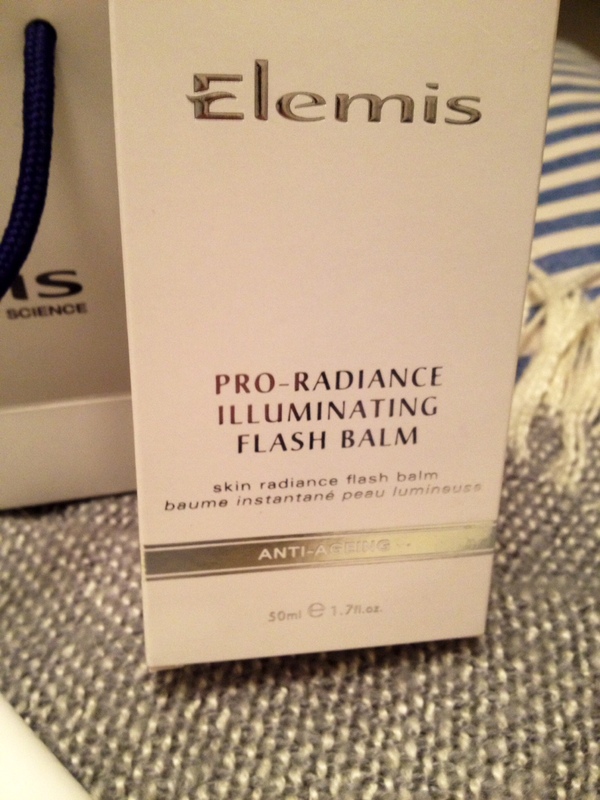 Elemis Pro-Radiance Illuminating Flash Balm in terms of consistency is pretty thick but instantly absorbed into the skin with a cooling sensation. 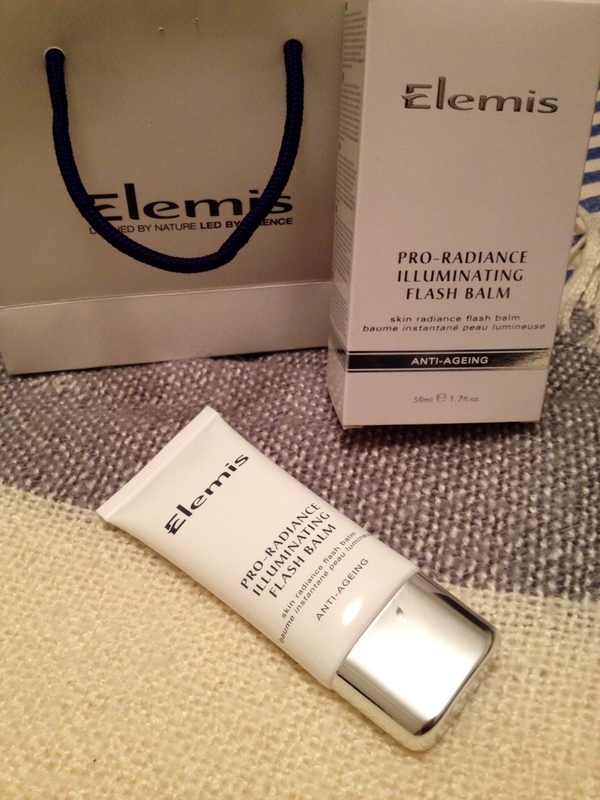 Although thick it spreads really easily and a little goes a long way, my only criticism would be that Elemis Pro-Radiance Illuminating Flash Balm is quite strongly scented, not unpleasant by any means (floral scent) but I do prefer skincare products for my face to be unscented. This Flash Balm has been designed to smooth, soothe and instantly hydrate the skin all of which it does, despite being a thicker balm like product it is not at all heavy on the skin and is a fairly light moisturiser which is great for the warmer weather or for oily skin types like my own. Unlike other products that can be used as a primer, this does not even out the skin tone nor will it help disguise pores rather it gives a slight glow to the skin as well as a light barrier of moisture and providing a lovely canvas to apply make-up on top off. 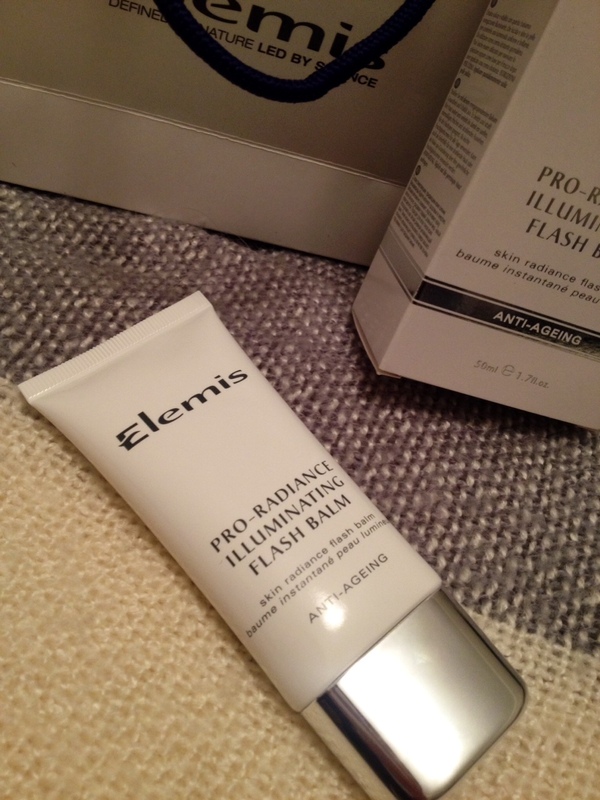 What I like about Elemis Pro-Radiance Illuminating Flash Balm is that it gives the skin a beautiful and trulynatural looking dewy finish without the need for shimmer or glitter particles. I love this balm! I woke up to a brighter, fresher looking complexion after using this overnight. With this under make up I feel my skin looks healthy and glowing. 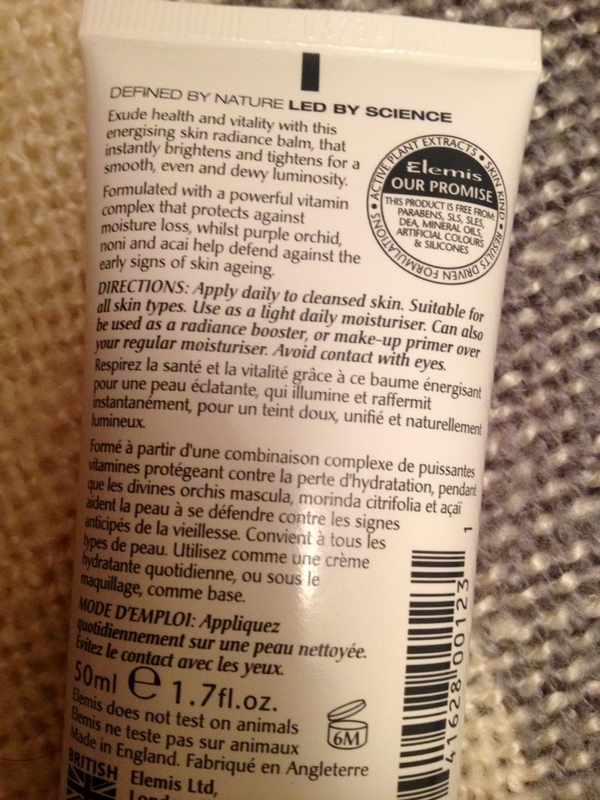 My skin type means I need a light moisturiser during the day, and this does the job amazingly well. I am so happy to have this in my skincare stash!! This entry was posted in acne, all nighter, balm, beautiful skin, beauty, beauty blog, beauty blogger, beauty tips, bespoke, blemish, blemish control, blogger, blogger award, blogging awards, dubai, dubai blogger, dubai mall, elemis, expat, facemasks, fashion, flash balm, illuminating, lip balm, moisturiser, moisturising sorbet, oil, oily, radiance, skincare, skincare blog, skincare routine, skincare tips, uae and tagged acne, beautiful skin, beauty, beauty blog, beauty blogger, beauty tips, bespoke, blogger, blogging award, dubai, dubai blogger, dubai mall, elemis, expat, facemask, flash balm, illuminating, lip balm, moisturiser, moisturising sorbet, moving, oil, oily, radiance, skincare, skincare blog, skincare routine, skincare tips, uae. Bookmark the permalink. Its one I have been thoroughly enjoying ! !